Mrs Dalton organised a Bake Sale in aid of Syrian Refugees. 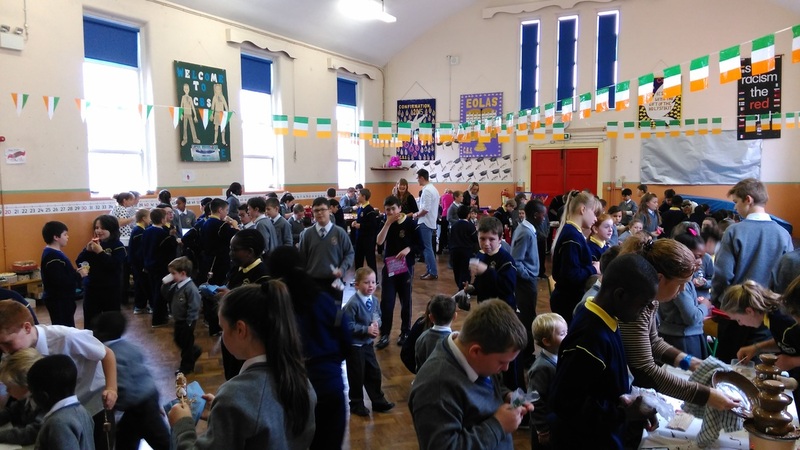 It was held in the school hall and raised €1334 to help the plight of those people who are forced to flee from the violence in their own country. We are thankful that we are in a position to help those less fortunate than ourselves and are mindful that there are many others who need our help in this world. 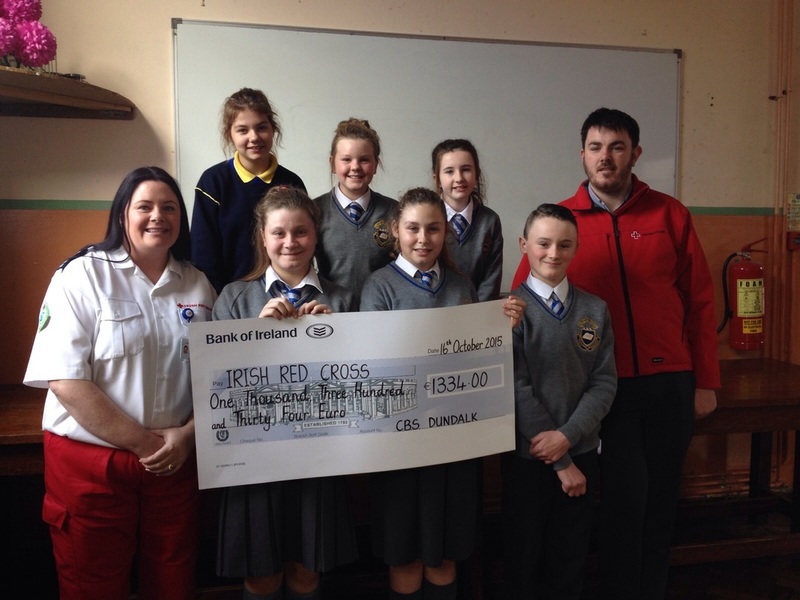 We also had members of the Red Cross who came in and spoke to the 6th classes about the current crisis. 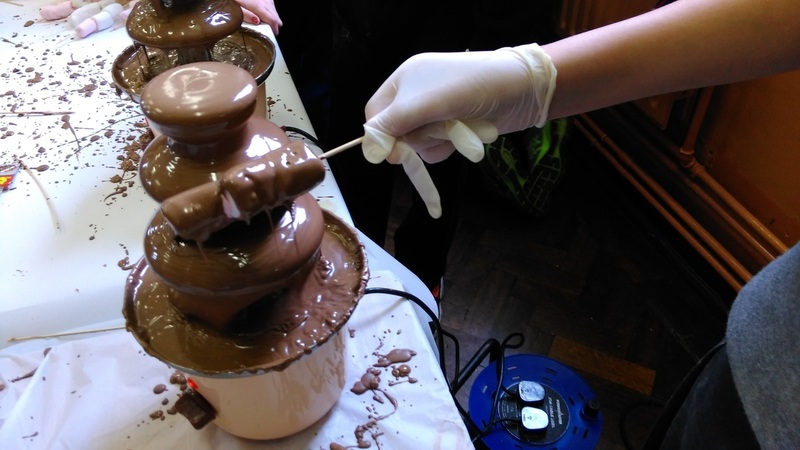 Everyone enjoys marshmallows and chocolate! We had two stalls providing treats all day! The school hall was full of customers all day! 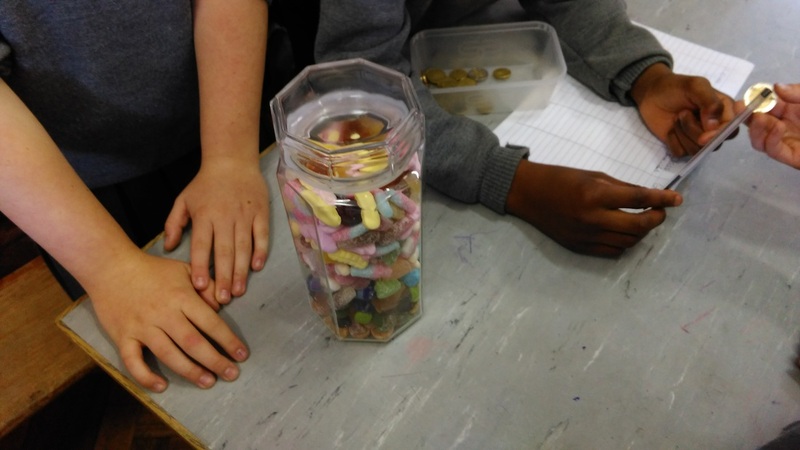 There was a competition to guess how many sweets were in the jar- before any teachers ate them!